Great to hear it's all come together and you're over the moon with the outcome. I look forward to seeing it finished in the flesh. 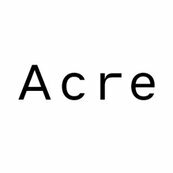 The plan and vision that Acre provided us gave us the ability to envision a space that was beautiful, durable and achievable. Absolute pleasure! Can't wait to see it all come to life and happy to help with any of the design implementation required. Thanks Matt, your kind words are much appreciated. Look forward to many more years working alongside each other. Glad to hear your feedback. I look forward to seeing the project completed and seeing the design concept come to life. We had a pool and landscape design done. Thanks Nicole for your kind words, I also can't wait to see it all come to life. It's going to be stunning!!! This was my first time working with a landscape architect, Brett from Acre has been amazing! Thanks for your kind words Mark. We look forward to seeing the final result!!! We dealt with Brett from Acre for a landscaping design consult, when we renovated our beachside Victorian style home in South Melbourne.